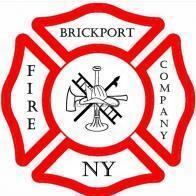 HenryH BCFD - Emergency Bricks! HenryH BCFD had the most liked content! Any ideas as to what Pierce will be unveiling tomorrow? @~JD~ @Michael P. I agree, airports and industrial fire departments could be a good market for the 110' dual axle. As for the single axle, I just don't see it selling. Not sure why there's so much hate towards the single axle tower, you get storage, maneuverability and reach in a compact package. As a straight truck the rig has possibilities, it can likely replace midmount towers and even tillers for departments looking for a compact tower. Working on a Pierce Lance...hopefully I have enough parts. Updates to come. Can't wait to see what you have in store!! Done with building the Pierce Lance, all it needs now are decals. Thanks guys, it is almost done. Very nice! Can't wait to see that when it's done! This morning, there was a 2 alarm electrical fire in Arlington. The fire started after a transformer in an underground vault, adjacent to a shopping/ apartment plaza caught fire and exploded. I was able to get to the scene to watch the response. Units from Arlington, Fairfax, and Alexandria responded to the fire. In addition, a Crash truck and a Foam unit were special called from the airport to help extinguish the electrical fire. Huh, why would they send rig from Dulles when Fairfax has a tender available, unless their's was to far away? Ah, okay. That makes more sense since they would need a powder chemical than a liquid based one. Yeah, I recall when I researched Fairfax for a trip it was pretty big. I also checked on station 436 and it's out by herndon (Frying Pan). I will try to get the pictures uploaded properly sometime today. I would like to get some opinions on an idea of mine. Those of you who are on mocpages may remember my plans for the FCVFD, a second department. 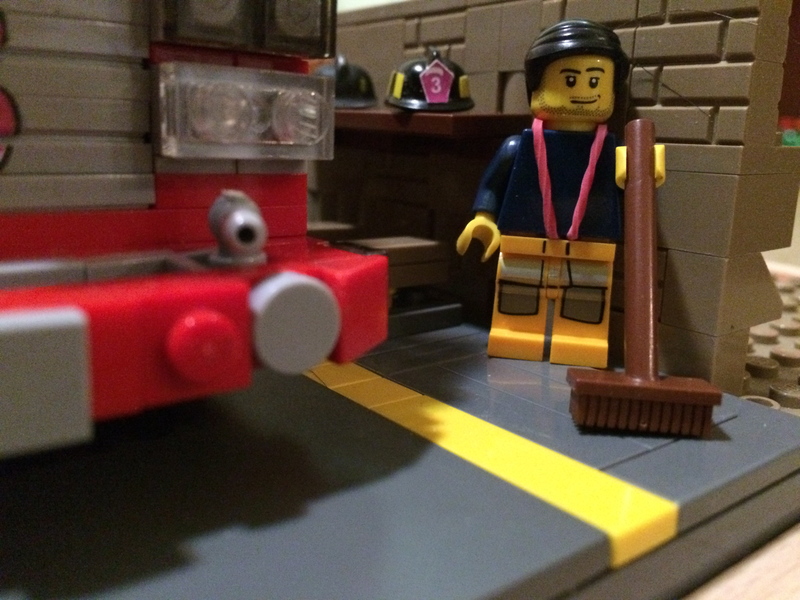 Originally I was going to build an E-one engine (LDD can be found on mocpages). 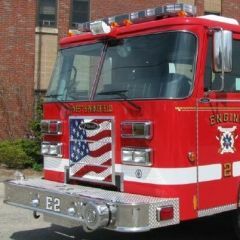 I am now considering building a Sutphen Engine based off of Syracuse's Engine 3 for the department and an E-one 78ft quint. What do you think of this idea? Any suggestions are appreciated. You are correct about Falls Church. I considered doing a Telesqurt but I would rather have a 75ft+ aerial for the department. I am leaning towards a newer E-one because I really liked my E-one chassis design and want to be able to use it. I do agree that an older squirt would be really cool and maybe I could make it as a 3rd rig for the department when I get a chance. The truck, ambo and the second engine will not be built for at least a year, possibly more, as I have a lot of units already planned for the BCFD. go for it, but try to build Syracuse's heavy duty Sutphen Rescue, it is an absolute BEAST! what an amazing website, looks similar to mine. Check out this company patch I designed for Truck 101. Nice catch, I know hey were contracted along with the last ALF but hadn't seen any pictures. Not even Spartan ERV's website has them. Oh man, those Spartans with them Pierce engines! Dang fine fleet right there! That's awesome! Can't wait to see it on the streets. great catch man. @T.J. you have never seen a Pierce Arrow XT? I have seen tons here in NY! @ JD I go to a private school, Gonzaga high school in DC. Interesting, a private school that is still called a high school, most of them get a fancy name followed by "Academy". Anyways, makes sense. Agreed Seagraves are the best around, unfortunately DC's new tillers shall be Spartan ERVs along with the last ALF Tiller ever made also going into service. My PaB order has finally arrived! ... Although it appears customs has hired a wild animal of some sort to inspect packages there is also a rip on the other side that you can't see in the picture. Lol, that or the delivery guy hit a lot of speed bumps. Good to see your orders arrived though! Will we be seeing any new rigs in the near future? Yes. I have pretty much been building nonstop. I am almost done with a rescue and then I will start on another rig. I gotta tell ya Henry, that is my worst nightmare when I order anything Lego. 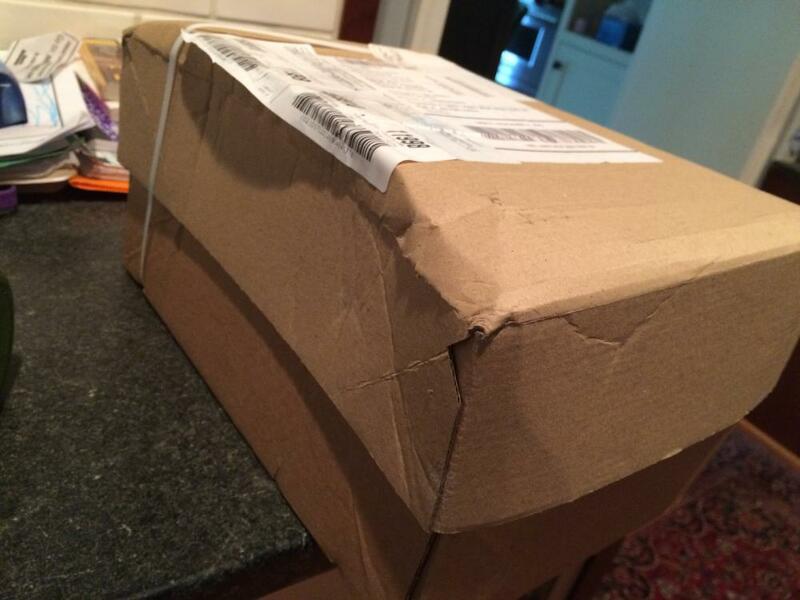 Having waited that long to get a ruined package. I've heard and seen to many horror story's with people who ordered Lego and it arrived in terrible condition. Thank goodness your package arrived safe and sound! Can't wait to see the new rig as well! I currently am placing orders for parts to make new rigs. Nice! What rigs are on the roster? A Seagrave Marauder II TDA and a Pierce Arrow XT Heavy Rescue. Cool! Can't wait to see them finished.